Exclusive Beach Colony is located on 11 acres of fabulous beachfront. The ingenious angular living room design transforms every residence into a Corner unit. Wall-to-wall sliding doors and adjoining windows actually wrap around the living room, filling it with light, and revealing the panoramic beauty of the Gulf. The sweeping 300 SF terrace will be a favorite spot for quiet moments and lively gatherings alike. The uniquely situated Master Bath is a world unto itself. The whirlpool bath is surrounded by large, wrap-around windows, which can open to offer both a view and a feel of the hypnotic Gulf. 1497 SF with Tile throughout Foyer, Kitchen and Baths. Carpet in Living, Dining, and Bedrooms. Electronics include 42" Flat TV, DVD, VCR in Living Room, 32" Flat TV in Master Bedroom, 32" Flat TV in Guest Bedroom. We could not recommend a stay at this property (Beach Colony Tower 6B) enough. The location was perfect. It was so was so easy to access the pristine beach. The sand is soft and the water was warm. It was not too crowded and beach chairs and umbrellas were easily available to rent if you don't bring your own. We enjoyed having the kitchen and being able to do all but a couple meals right there... which saved us money and gave us extra time to enjoy the location. The grocery was close by as were some great restaurants and fun venues if you are able to pull yourself away. The condo was well appointed with ceramic dishes as well as plastic ones which were nice for the kids. The balcony provided an incredible view and seemed private, but was also perfect for when my husband or I went up to let our youngest nap... we could still enjoy the view and see the other kids on the sand or in the pool. It was so wonderful!! And, it was breathtaking how many stars you can see at night from the balcony - so beautiful. The kids had the time of their lives and none of us wanted to leave. We got some wonderful photos to remember the trip and we just enjoyed the beauty and comfort of the condo so much. The condo had beautiful and comfy furnishings and thoughtful decor. Laundry and two full baths (including a huge walk-in shower and luxurious jacuzzi tub) made everything easy. We highly recommend a stay at this gem! We could not have asked for more! The condo provided a perfect mix of everything we needed for our family and some wonderful surprises as well. The balcony view of the ocean and pool was incredible and even allowed us to see each other if some were in the condo and others on the beach or in the pool. Thank you for a wonderful week in Perdido Key. Everyone was very nice and helpful to make our stay a great experience. Our unit was perfect. Great location, amenities, and easy to access. Wish I was still there!!! Alway the very best experience from Perdido Realty. Good folks doing great work making wonderful memories. A delightful experience which we intend to repeat every year in the future. What vacations are meant to be. The property was great and everything was handled amazingly well! We had a great time and the unit was super! Could not have been happier with our unit. Will definitely visit again!!! Convenient location; beautiful property; easy access and parking; clean, well-maintained accommodation (the beds were to die for!) I've been visiting the Gulf for over 30 years and have very high standards. This place is perfection. Excellent time at the beach in this cozy and beautiful condo! Loved the spacious floor plan. Thank you so much! Beautiful condo and wonderful stay. Beach Colony Tower 6B had easy access and clean up! Great place to stay - Thank you! Staff is totally customer focused. They really made the long trip, a welcoming experience. Very nice folks. A totally great and awesome experience. 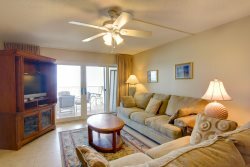 Perdido Realty Vacation, is the high water mark, of comfortable and stress free time. We will be returning, as often as possible. Simply Beautiful! The unit is amazing and well furnished and cared for. A slice of heaven! Beautifully kept home away from home! We love the area, so peaceful at the beach but either way you go, only 10-15 minutes away from fun, shopping, awesome restaurants and recreational activities!!! Every year it's a must for our ultimate vacation!